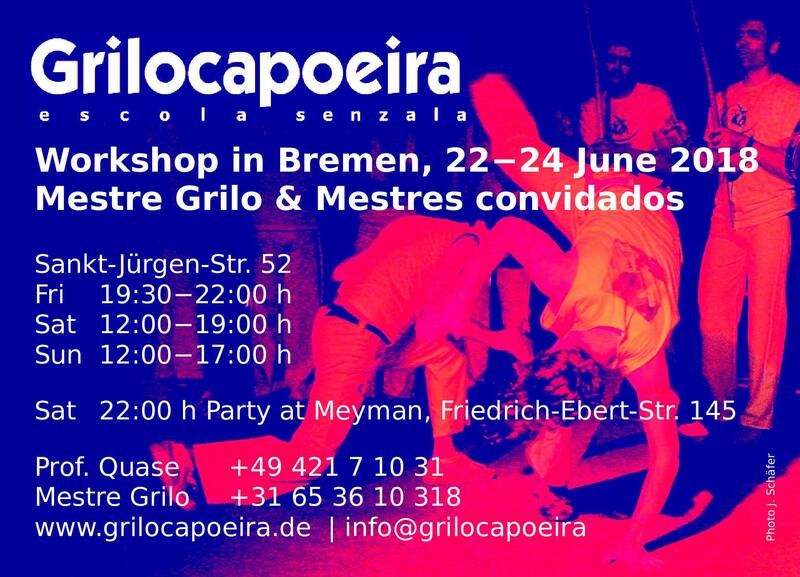 Come and join our annual Grilo Capoeira Summer workshop in the city of Bremen. Capoeira and music classses for all levels. Saturday night party in Neustadt. Hosted by Mestre Grilo, Professor Quase and alunos, escola senzala Bremen. Please let use know in advance if you need a sleeping place and bring your sleeping bag.